Despite being just a modest-sized lump of limestone, the London Stone has huge symbolic significance in the folklore of England's capital. For many with an interest in the occult, it is the stone heart of London, as important to the city as Stonehenge is to England (although considerably smaller and less impressive to look at). There is nothing wrong with the stone having mythic importance, but it is always worthwhile examining the facts before confusing powerful stories with recorded history. It more likely dates from Saxon or Medieval times. Some think it was originally a Roman milestone, but there is no evidence to support this. It is too late to be Druidic. In 1450, Jack Cade, leader of the Kentish rebellion against Henry VI, entered London and struck the London Stone claiming to be ‘lord of this city’. However, there is no recorded precedent for this and chroniclers at the time were bemused as to why he did it. It was moved a few times in the 18th century because it was a traffic hazard. It was also briefly at the Royal Exchange in the 1960s. This is a fantasy made up in the 19th century (a time when many such legends were created), based on a suggestion first stated in the late 18th century. This is a relatively modern legend, although in recent times some people have enjoyed the unofficial title of custodian of the stone. 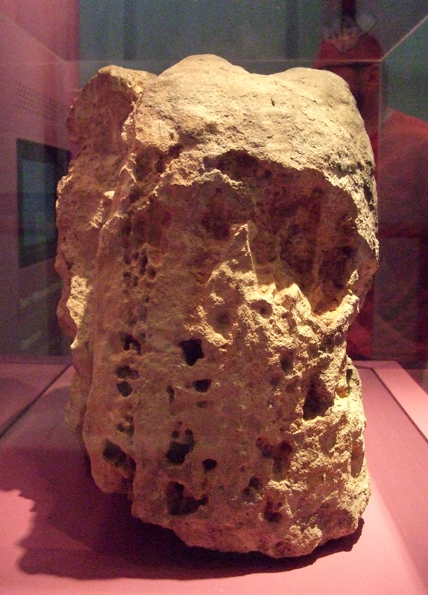 It seems this idea began in the late 19th century when folklorist George Laurence Gomme said it was London’s ‘fetish stone’ and that when London was just a village, the head man made an offering to it once a year. Since then many books on legendary London and urban fantasy novels have built on or used this idea. There is no evidence that it is true, but it makes a great story. What I would say is, whatever the London Stone might have been in the past, today it serves as a powerful symbol of London's history and legends as well as the ability of those who live here to create wonderful ideas from very little. It is interesting to see that much of what I wrote in that early post has now been debunked. Nevertheless, for me, the London Stone is still London's magical heart, even if it isn't a very ancient one. 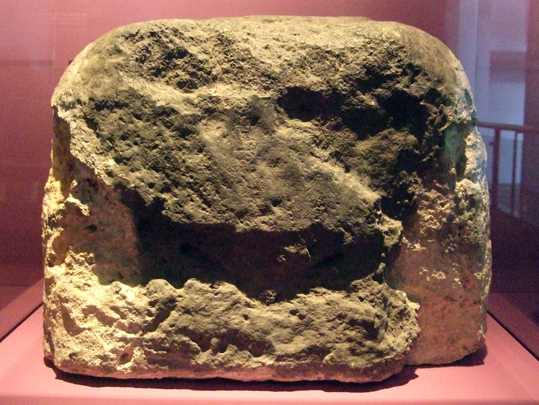 The London Stone is currently on display at the Museum of London, 150 London Wall, London EC2Y 5HN. You can see it for free during museum opening ours until 31 December 2017.